I was tagged by Tina from All the Vanity - Thanks girl! This is a great list of 20 questions where I tell you something about myself that I wouldn't usually! 1. What is your favourite item of clothing? My skin, my accessories, flowers, tanning, space saving storage techniques lol and holidays! People who have overcome difficulties, share and think of others. 4. Who is your favourite designer and why? I don't have a favourite designer, I like quite a few! 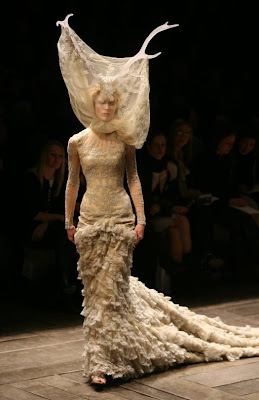 However, Alexander McQueen has always stood out for me because of his ability to mix different themes into a unique modern garment. I also like Lanvin, Cristopher Kane and Missoni. 5. What is your favourite song ever? Wow, this is such a hard one, but I love Mariah Carey, Nars & Joe - Make it last forever, brings back memories! Ah I really couldn't say, I'm quite old skool :) Justin Timberlake - Like I love you, is always a favourite! 8. Red, orange, yellow, green, blue, indigo, violet - what words would you use to describe your rainbow? Russian red, Blood orange, green grass, electric blue, indigo shmindigo, violet pigment! Not sure if I answered this correctly :) Whatever! 9. What is your favourite films? 10. Who is your favourite actor? 12. What are your 3 favourite smells? Roses, washing powder and chocolate. Chocolates, fresh fruit and rose flavoured ice cream - mmmm! A scroll poem that my husband wrote for me on my 21st birthday, he burnt and stained the paper and hand wrote the special words and sealed it with deep red candle wax! 15. What did you always want to be / do when you grew up! I always wanted to be a designer! 16. If you were an ice cream, what flavour would you be? 17. If someone made a short film about your life, who would play you? 19. 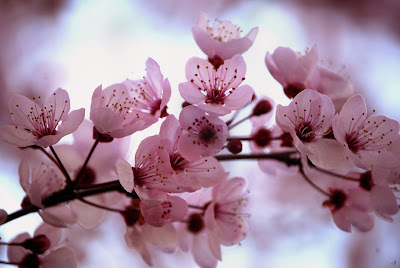 If you were a flower what would you be? 20. Tell me one random thing... be it your favourite line from a song, scene from a movie or quote from a book.....or tell me about something that you love. ....and anyone else who wants to do this tag! I live in Hawaii come visit you can stay with us :) Nice tag! Great list! :) Your husband sounds like a sweetheart! Lucky you! I just dropped by to wish you a lovely weekend. Rose flavored ice-cream... YUM! When I was a child, I remember my grandma used to make rose jam. I miss it! Where do you find rose flavored ice-cream?